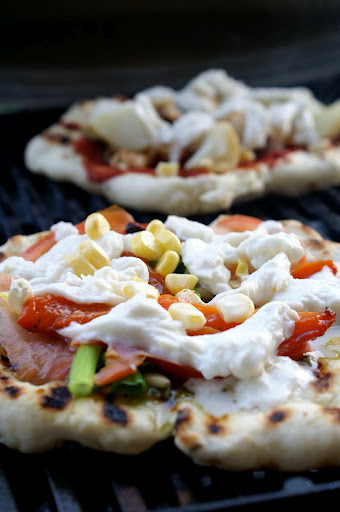 You are here: Home » This Pizza’s Made for Grillin’! This Pizza’s Made for Grillin’! I’m trying to maximize every sunny evening by getting out the BBQ and grilling! I know I will really miss it when October and November roll around and it gets chilly by 7pm. Ah, those summer nights. I suppose this summer I have really attacked grilling big pieces of meat. Big. Pieces. Of meat. Which has been fun, and let me tell ya – really tasty! But one thing I’ve really wanted to try is to grill pizza! So the challenge was set – I’d find a recipe for an appropriate dough, gather some ingredients and friends and grill away! 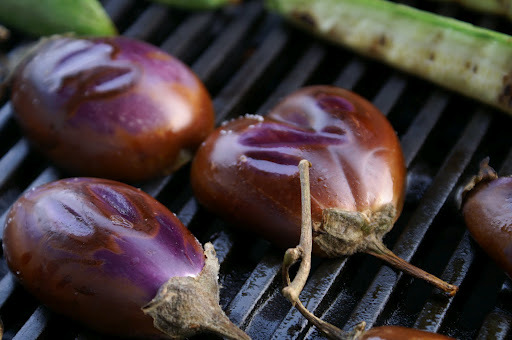 Luckily the mothership and I had visited a produce market earlier that day and I was loaded down with fresh veggies – including some beautiful baby eggplant and zucchini. They made a wonderful accompaniment to our pizza and an even more delicious antipasto-inspired salad for the next day. But the pizza, ah yes, the pizza. It was good. Really good. The recipe can be found here – on the amazing Kitchn site. The link is for the entire dissection on grilling pizza, which includes a recipe for the thin crust dough. If you’re interested in grilling pizza, I highly recommend following their instructions. I amped up the crust a bit by adding some fresh and dried rosemary and thyme and of course, a generous pinch of lemon salt and freshly ground pepper. It made a world of a difference! 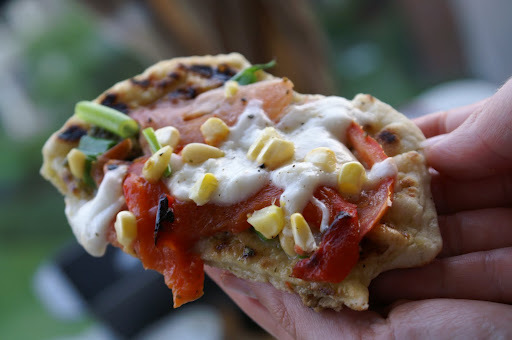 The herbs infused their delicious oils and aromas into the dough which created the most delicious base to some summer fresh toppings and buffalo mozzarella! The herbs also add an extra element to the crust – making it less pizza and more like flatbread. I would be totally comfortable topping this with little oil and salt, cutting it into strips and serving it with some dip. It was THAT good. The top and bottom were crispy with that slight chewiness and bite. Yum. And it took about 5 minutes to cook. Granted, they were small pizzas – but this is a manageable enough feat that you can eat a pizza while your next one cooks! One tip the Kitchn site encourages (and I do too) is to push your dough out on an oiled surface. 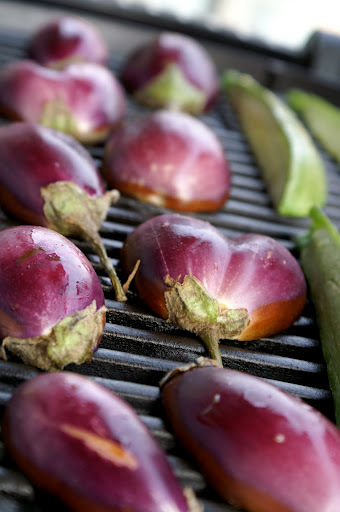 I used a cutting board and it made it easy to push out into shape and much easier on the grill. So have some olive oil and a brush handy. In case you’re wondering, I was using the mothership’s awesome pimp camera. Oh yeah. P.S. I love your ice cream labels–too cute.